The rich tone of these coffee coloured doors coupled with the dark flooring and wrap around island worktop result in a contemporary kitchen which is surprisingly warm and versatile. 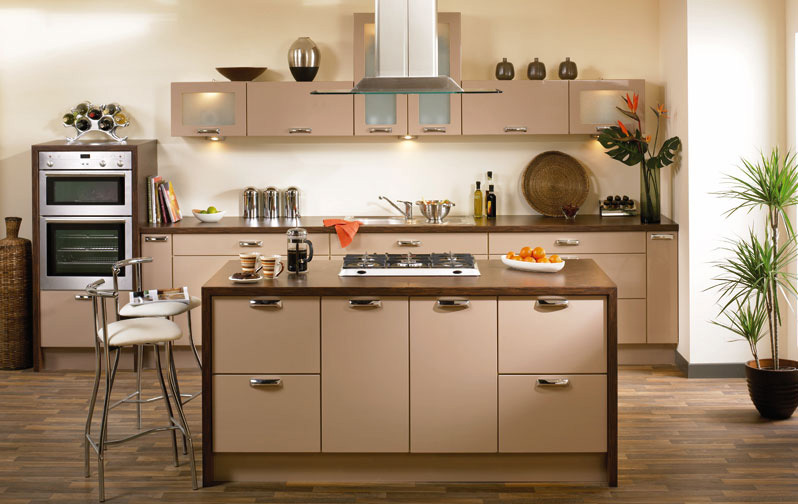 For those who want a contemporary kitchen that isn't too minimalist, this is an ideal choice. Prior to October 2012 our Premier Duleek design was know as the Square Slab. 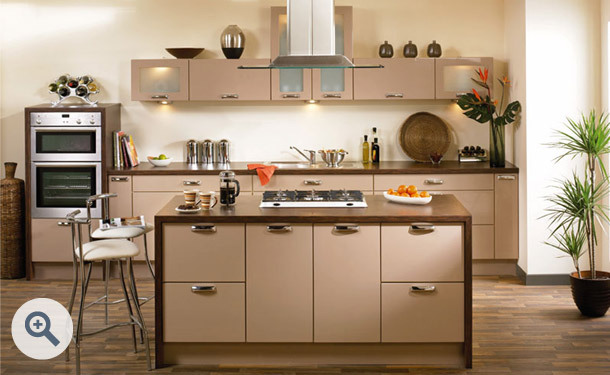 Premier Duleek design drawer fronts in High Gloss Cappuccino start at just £8.97 each. Click the button to request a free large sample swatch of High Gloss Cappuccino. Click the button to purchase a Sample Premier Duleek design door in the High Gloss Cappuccino finish.